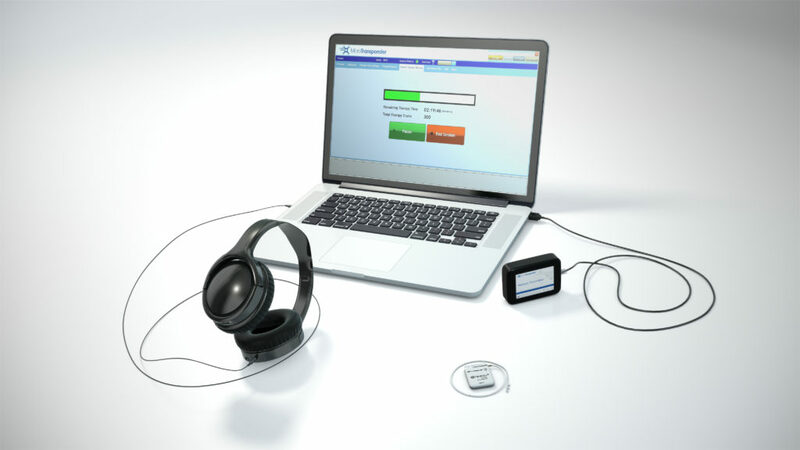 The Serenity System® has been developed by MicroTransponder to treat tinnitus. The Serenity System® pairs an existing therapy called Vagus Nerve Stimulation (VNS) with listening to tones via headphones. VNS has been used in the U.S. and around the world to treat over 100,000 patients for epilepsy and depression. The device is fully implantable and is designed to be used at home. During the therapy, an individual sits in a comfortable chair and wears headphones. They listen to tones while receiving small bursts of neurostimulation, which activates the vagus nerve. MicroTransponder’s approach to treating tinnitus is based on decades of scientific research. 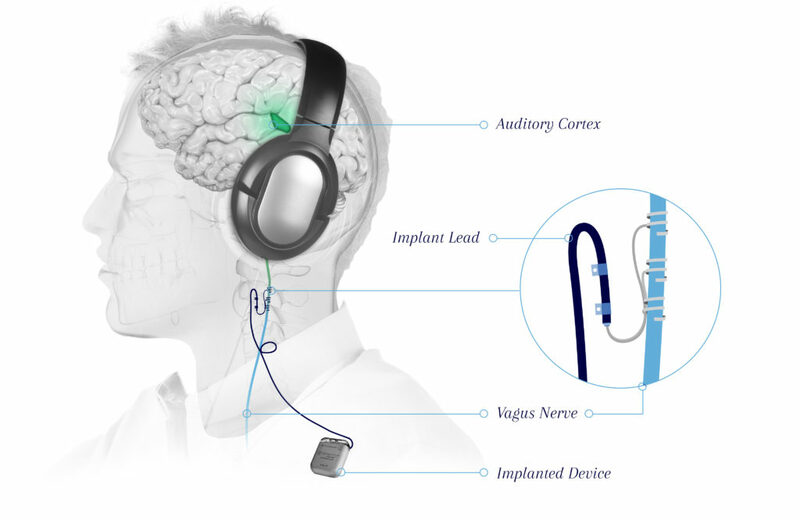 The innovative approach pairs a well-known treatment called vagus nerve stimulation with listening to specific tones. Using this method, the researchers were first able to eliminate the tinnitus precept in a rat model and then adapted the therapy to be used in human trials. One might ask the question, “How can a nerve in the neck cause changes in the brain?” The vagus nerve is unlike any other nerve in the body. It directly connects to the brain and sends important signals to tell the brain what to learn. For example, when someone is exposed to a stressful event, a hormone called epinephrine is released into the bloodstream, which activates the vagus nerve. The vagus nerve then sends a signal to the brain to release the neurotransmitter norepinephrine in a region called the amygdala, which strengthens memory storage for the emotional feelings during that specific time. This is why people often vividly remember traumatic events in great detail. The vagus nerve is sending a signal, telling the brain what to learn and when to learn it. The MicroTransponder team utilizes this natural response system by directly stimulating the vagus nerve while playing a sound, which tells the brain to “pay attention” to that sound. This simultaneous pairing of a specific tone with vagus nerve stimulation (VNS) strengthens auditory neurons representing that tone. Consistently pairing VNS with all other tones except the tinnitus tone, reduces the expanded representation of the tinnitus tone. 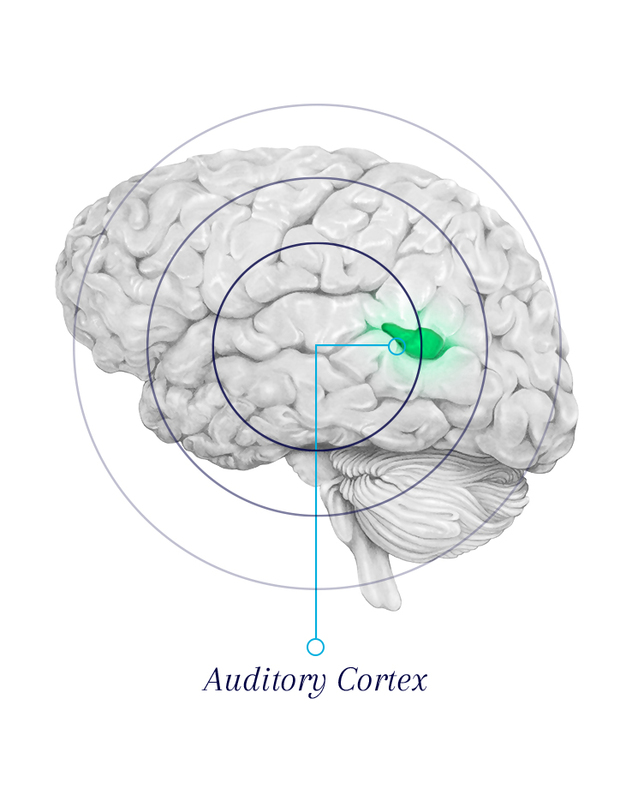 Over time, the brain learns to ignore the tinnitus tone. Pairing several of these tones (except the tinnitus tone) helped subdue the abnormal hyperactivity and restored the auditory cortex activity back to normal in a rat model of tinnitus. This study was published in the journal Nature. We also published the full results of our initial 10-patient VNS tinnitus trial in Belgium in the journal Neuromodulation in 2013. In the image below, the components of the Serenity System® are displayed. The patient wears a pair of headphones to hear the tone series. 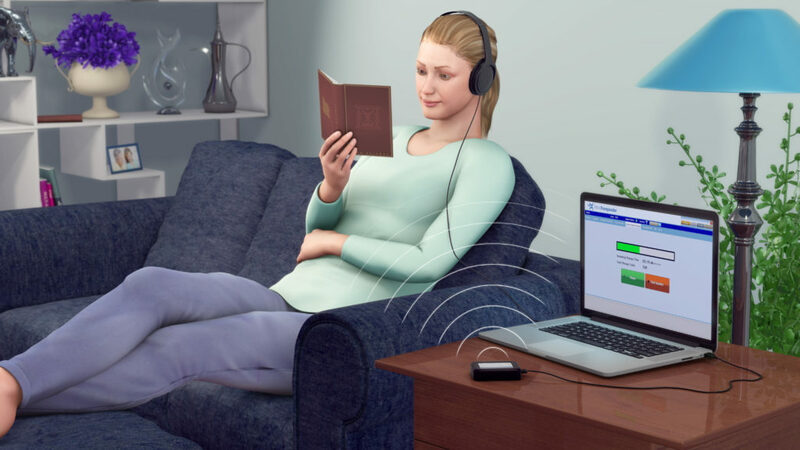 The laptop is running MicroTransponder’s clinical therapy software, which simultaneously pairs each tone with a small burst of neurostimulation. The software on the laptop is controls the implanted VNS device via the wireless transmitter.